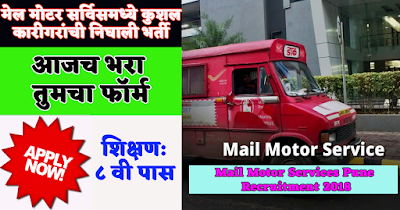 Staff Car drivers Recruitment under Mail Motor Services, Pune (Maharashtra). Interested candidates who wish to apply for this post should thoroughly examine the academic qualifications, age and other terms and conditions of this post. And make sure that he is eligible to apply for this position or not, if the candidate is eligible he can send his application through the post. Check the information given below for more details. 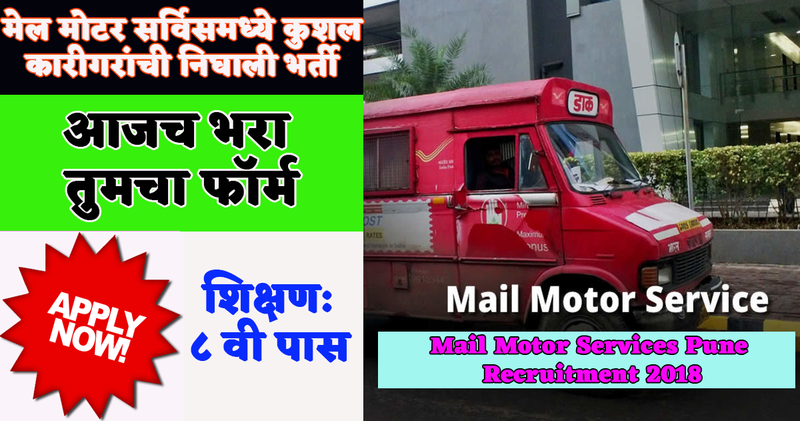 Candidates should have passed 8th standard and have Driving Licence. For more information on the pay scale of the following given positions, please visit the departmental advertisement. Post a complete filled application with the mentioned documents before 10 December 2018. Written and oral examinations can be organized for this post. The best performing candidate can be selected.